Most of us were born and raised in the Netherlands (some of us in Amsterdam). Our chief editor is Winston Peki. 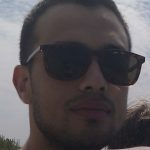 He's also our main expert on vaping products, and summarizing scientific articles about vaping, marijuana and CBD in easy to understand bits and pieces. No, he's not a doctor but he does have a scientific background and knows exactly how to read and understand complex scientific research. But what makes us really special? That we use/enjoy in our personal lives. This obsession results in extensive research (including science), extensive testing, and complete exhaustion of possibilities. Not only based on our own experience and research, but based on the experience and research of hundreds of people directly around us, PLUS based on any findings coming out of the scientific world (example). We test all the products on our website independently from ANYONE. Noone can pay us to get their product on our lists of best products. Noone can pay us to increase the rating of their product in our reviews. Noone can pay us to influence our ratings in any way. 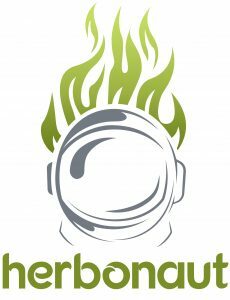 Since we and our circle of friends are all actual and daily users of the products that we review on our website, we look at all products on Herbonaut through the eyes of a real user. Most products we test for at least 1 month before we even publish anything about it. We continuously use most products and continuously update our reviews with any new findings we have. For every product that we review, we have a SYSTEMATIC, ORGANIZED and CONSISTENT rating system (example). What makes us experts, specifically on the topic of vaporizers? These devices can be an absolute lifesaver IF you get the right vape and use it the right way. Because of our success, we now feel obliged and honored to help the smoking/vaping community by providing in-depth comparisons and reviews on every type of vaping product. There's a lot of worthless crap on the market. In such a new industry, the average beginner who wants to try out vaping has no idea what to get and where to get it. It was the same for us: when we started out with vaping we wasted $200-300 before we finally found a device that was actually WORTH its money. By reading our articles, you will save yourself the pain that we endured. Informative and how-to-articles that give specific and actionable advice on vaping (example). 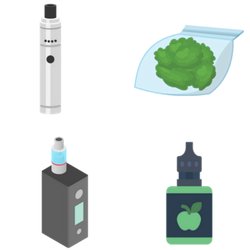 After reading a few of these, consider yourself among the top 5% that know most about vaping and vaporizers. First of all, if you live in a country or state where growing marijuana is illegal, DON'T DO IT. But also one of the most FUN activities. 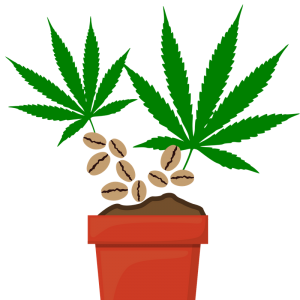 Did you know you can save at least 100s of $$$ by growing your own marijuana? And no, growing your marijuana doesn't have to be hard if you simply stick to the basics. 2 of our team members have been growing their own marijuana for over 10 years. Needless to say: they accumulated a VAST amount of knowledge and experience. By using their knowledge and experience, you can get a cheap but extremely effective growing setup…PLUS drastically cut your learning curve, so the chances of you finishing your first grow successfully the 1st time, dramatically increase. Informative and step-by-step how-to-articles that give specific and actionable advice on growing (example). Consider yourself among the top 5% that know most about growing marijuana, after reading our essential growing articles. If you're on this website, I probably don't need to tell you that marijuana and marijuana-based products can be used as medicine (as poison too, it all depends on HOW you use it). The compounds in marijuana have been shown to have impressive healing properties. 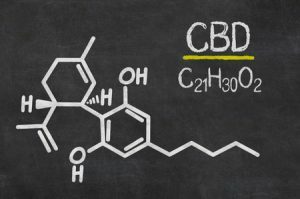 CBD is one of those compounds which, over the years has shown to have potential in treating countless medical conditions. Some of us use products like medical marijuana strains and CBD oil on a daily basis to improve our health. One of our growing experts uses high-CBD strains for anxiety and depression. We keep up with all the noteworthy research and share the results in digestible bits in our articles, so you can decide for yourself whether these products seem worthwhile for you. We also review legal marijuana and Hemp-based products, like CBD oil, which can be used as extremely effective health-boosters (based on our experience!). When we recommend products we link out to them. Most of the time this will be through an affiliate link. By using these links, we can continue to grow this website by testing new products and writing new articles/reviews. In no way do these affiliate links influence the products that we recommend. This website is first and foremost built on trust and honesty. We are 100% convinced that you'll come to the same conclusion by following up our advice. In case you feel our advice was not what you expected, please do contact us, as we would love to hear from you and have a friendly discussion with you about your experiences and findings!